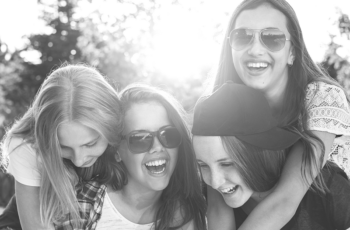 If you have been thinking about contact lenses, we have definitely been thinking about you! Dedham Ophthalmic Consultants and Surgeons are committed to the finest eye care for those we provide services. Whether you are a routine eye care client or a prospect for cataract surgery with custom lens implantation, our number one goal is to provide the highest quality of care we possibly can. What Are Gas Permeable Contact Lenses and Benefits to Wearing Them? Gas Permeable (GP) or Rigid Gas Permeable (RGP) contact lenses are an alternative to soft contact lenses. Although they are currently less popular than soft lenses, they offer a number of advantages and are continuing to improve as research and technology advance. GP contacts are made of durable silicone which allows the passage of oxygen through the lens to your cornea and the front surface of your eye – essentially allowing your eye to “breathe”. 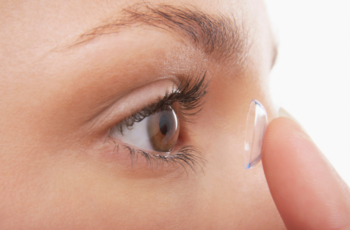 Are contact lenses or glasses better for you or your vision? There are pros and cons to wearing glasses and/or contact lenses. So, to help you decide what is best for YOU and your visual needs, we thought we would highlight both.